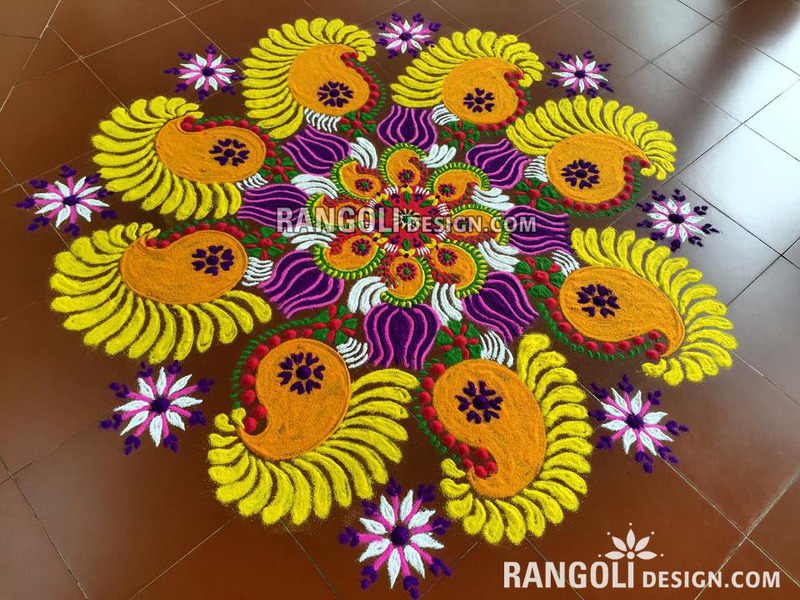 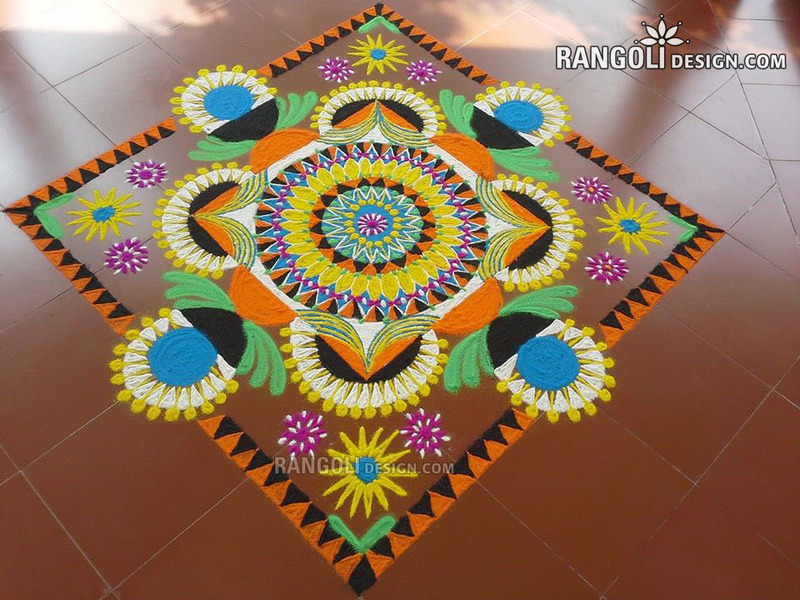 Rangoli Designs are traditional art designs which are practised by Indians living all over the world. 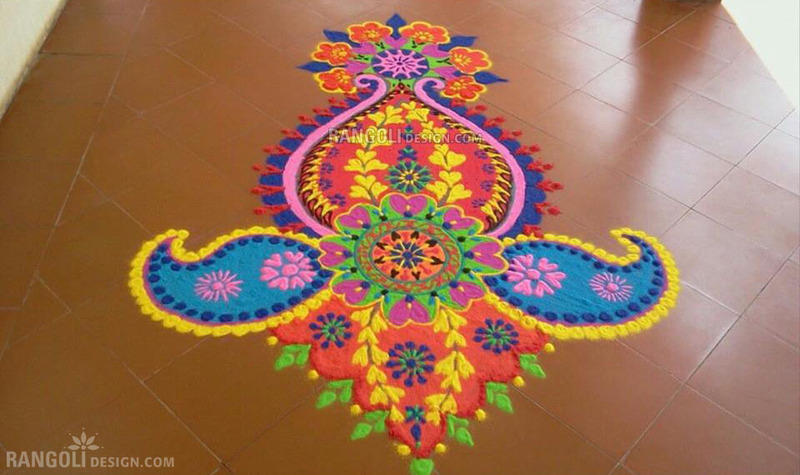 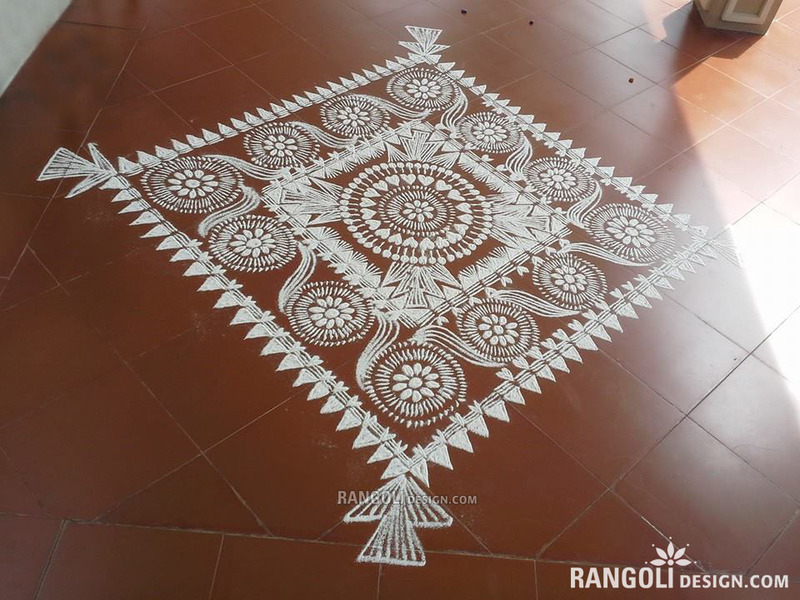 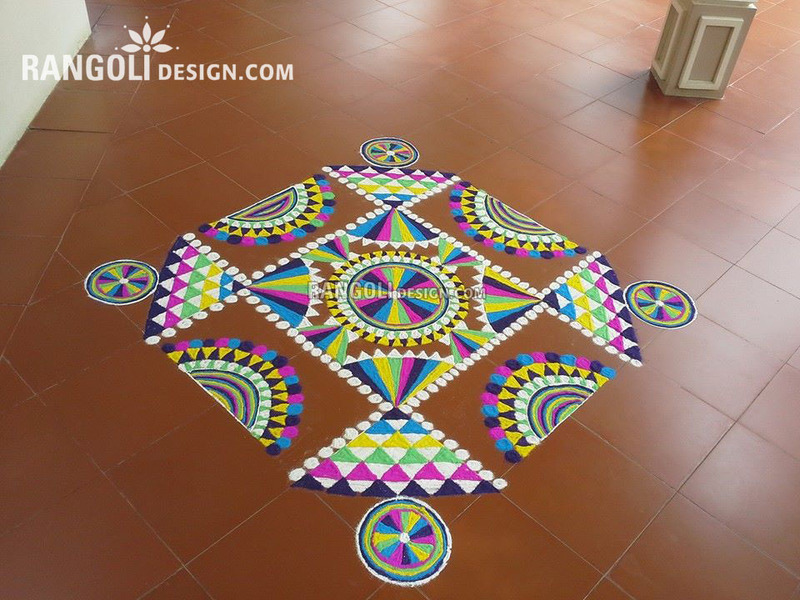 Rangoli Kolams are used to decorate the front porch of the houses to welcome positivity into the house. 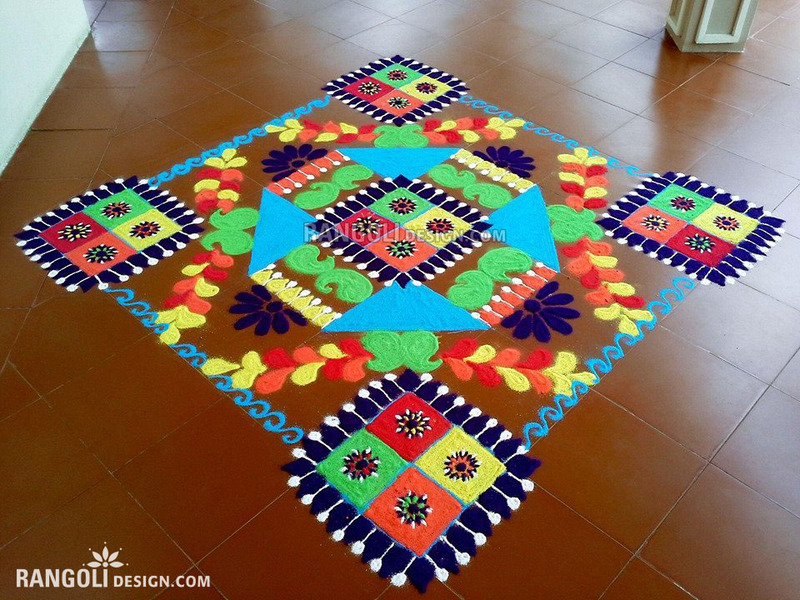 During festivals and special occasions women decorate the pooja areas with kolam designs specific to their culture. 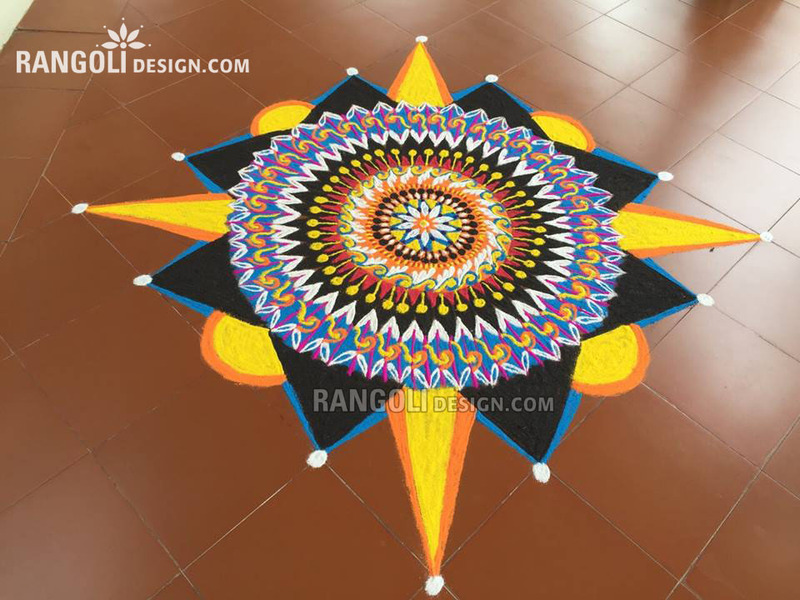 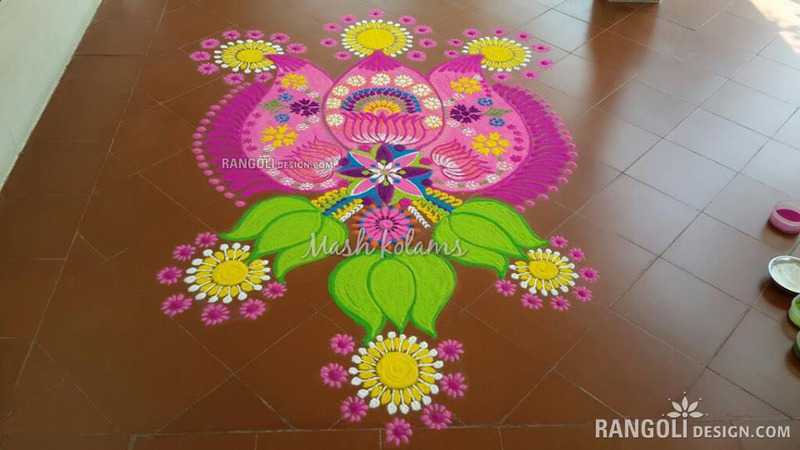 The below rangoli kolams are the works of a budding kolam artist, Maheshwari Ramesh from Salem, Tamil Nadu. 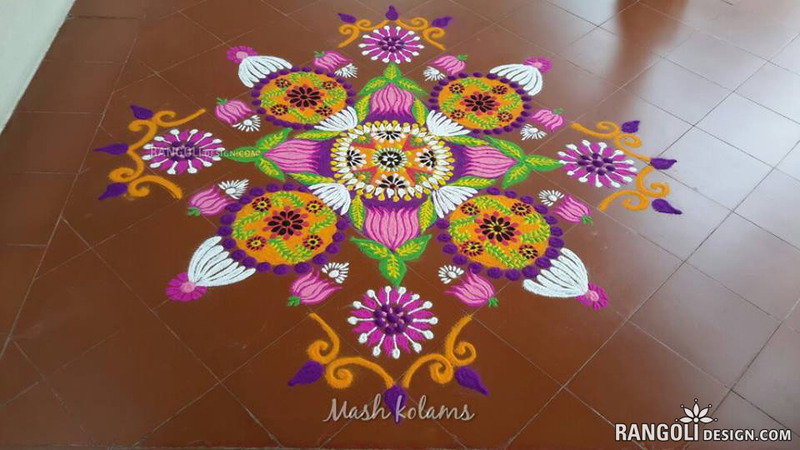 Did you know that Salem is well known for it's luscious mangoes and hence known as the Mango city in Tamil Nadu.There are many forms of kolam designs: Pulli Kolam, Freehand Rangoli, Parallel Dot Kollam and so on. 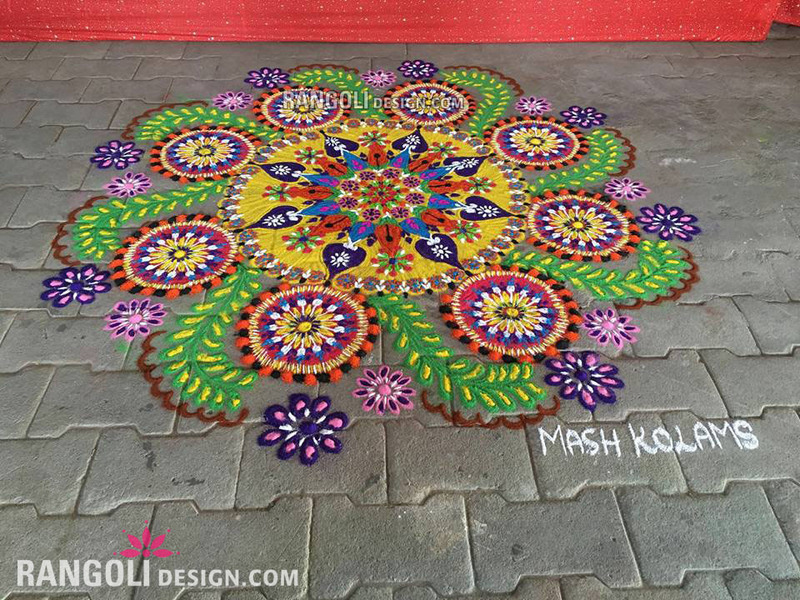 Here is a sneak peak at Maheswari's kolams. 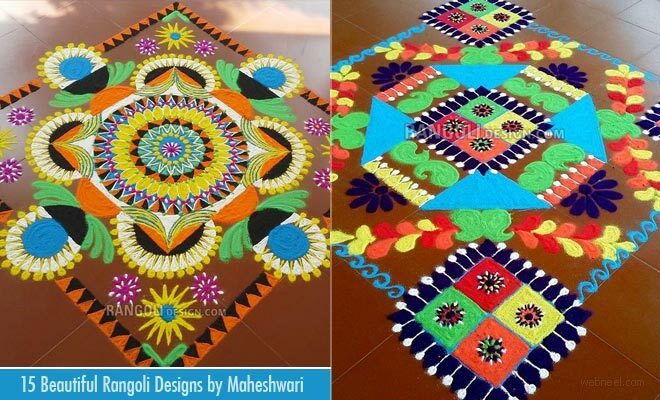 You can follow her on Facebook and decorate your houses with her beautiful rangoli designs. 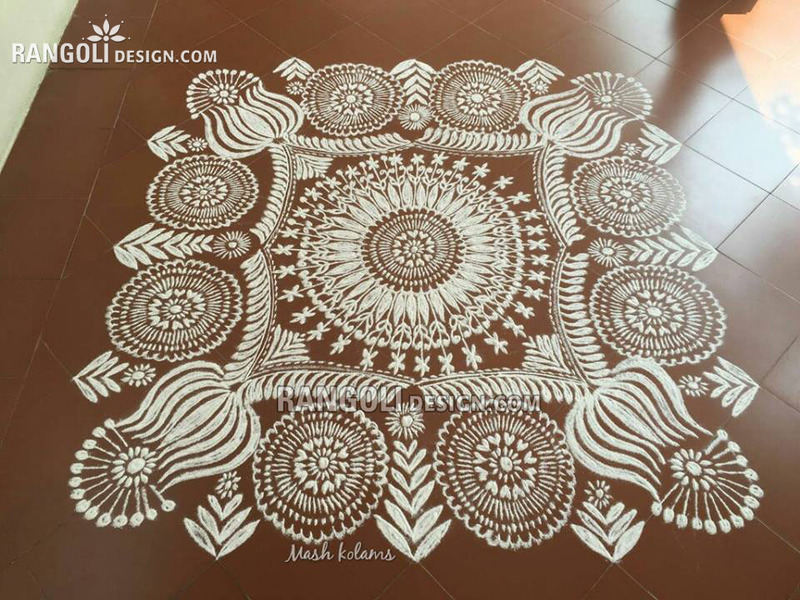 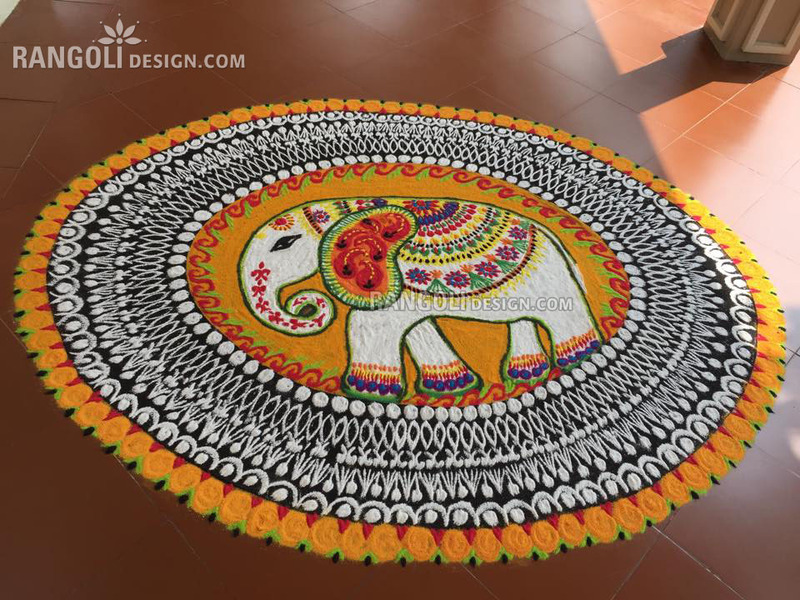 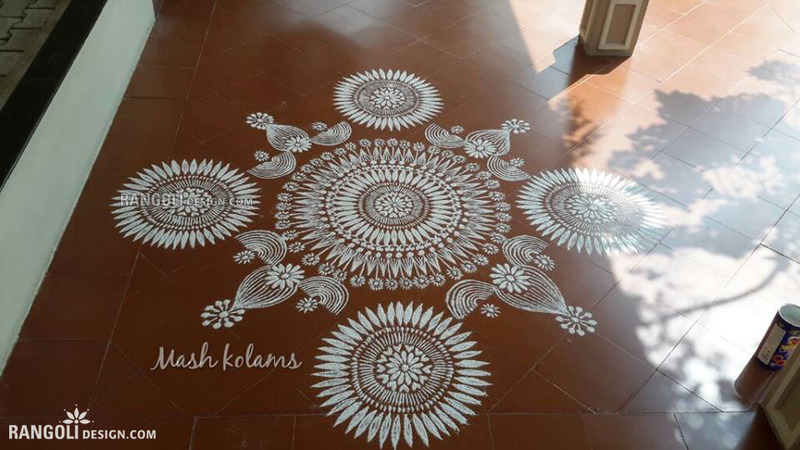 The materials used for the kolam designs changes depends on a person's culture: Color powders, colored rice, flower petals, colored salt, stencil kolam designs, rice flour are some of the popular ones.